Tessa from Tales from Outside the Classroom is my guest blogger today. Her post is another great resource to use with those kindergarteners and first graders. Thanks Tessa for such a great post. I used them for letter or sound identification. I would dump them all into a container and asked students to draw the letter out and identify it. You can use the few blank tiles to create a BANG game or something similar. Making words: I would give students certain letters and ask them to create words based on the letters they had in front of them. I really like the books by Pat Cunningham and used them with my students. 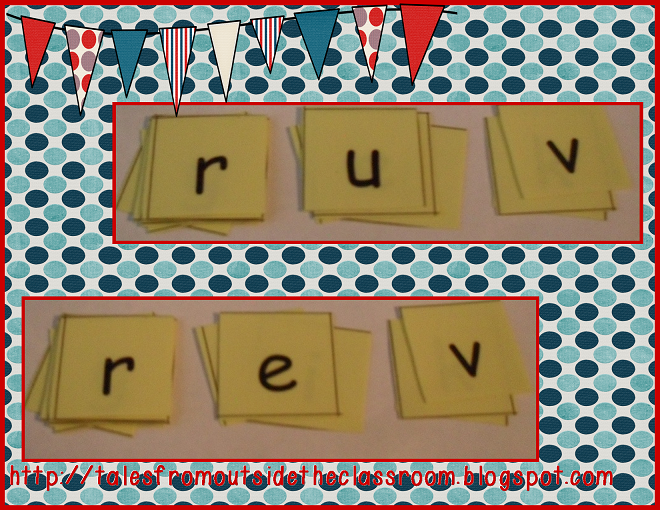 The final way I used them was to practice phoneme segmentation and blending with real and nonsense cvc words. I laid out the letters into three piles with vowels in the middle. I would strategically place certain letters in certain places. For example, in the beginning, I would only put stretchy sounds in the first place. These are letters like s, m, f, v, etc. and are not letters like t, b, d, j. This is so students can practice blending sounds into words easier since they can put all of the sounds together. I also always put the q, w, y, and h in the first spot and always put the x in the last spot since those letters don't work in the other place so well. Once students can sound out and then blend the first word, I change one and only one tile. 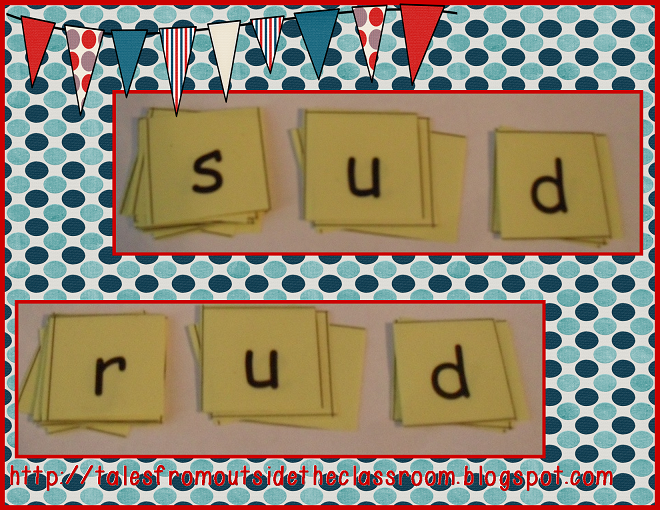 I ask students to sound out and blend the second word. As we continue to do this activity, I start challenging students to think about the different sounds and tell me the new word without needing to sound it out for themselves. I also would give students tiles and do the reverse activity. 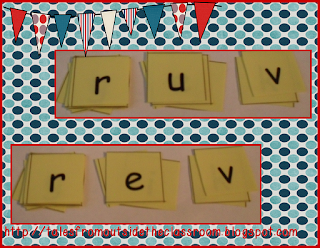 I would give them the word ruv and ask them to change ruv to rev. Students would need to identify the sound that is different, the sound that they need, and place it in the correct position. 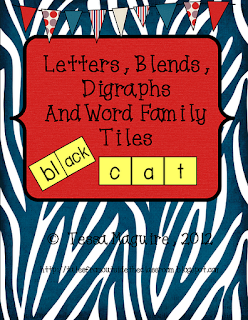 I hope I shared a few ways that you can use these letters tiles in your classroom with your students. 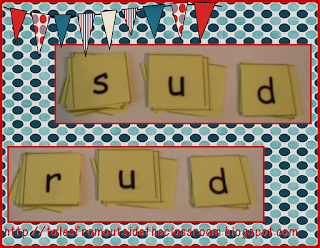 Remember, there are also some short vowel family tiles in the pack that you can use later in the year. Do you have other ideas on how you can use them with your students? You're welcome! I'm glad you enjoyed it. I clicked on the picture and it just brought up the image. Am I doing something wrong?? No, I'm not sure why the link went all wonky. You can click here to download it. I did fix the link, the document takes a little time to load.